In the olden days marketing executives used to manually go from place to place to increase sales and to have a better business. In the modern digital world salespeople have realized the advantages of being able to make a sales presentation with the help of a laptop computer. But laptop computers may also take some time to boot up and to get connected to the external projectors. Therefore, mobile applications are the latest innovations which are designed to let users quickly put up the information they need for a business presentation on their iPad, Android or a BlackBerry Play Book Tablet. Such mobile applications do give sales organizations a mobile sales tool kit with updated videos, brochures, pricing, statistics, technical information, quotes and contracts. Mobile applications do not fit all products. Instead, they can be customized to meet the specific needs of a sales organization. These applications are visually appealing and it is easy to use them too. Businesses have the provision of adding and revising contents through web-based administrative panel. They will also ensure that the customers have access to the updated information and prices of products. Mobile applications do promote consistency with regard to how a product or service is presented. These applications do not leave such works to individual sales representatives, but distribute information from central servers to all members of a sales force simultaneously using the latest technology. 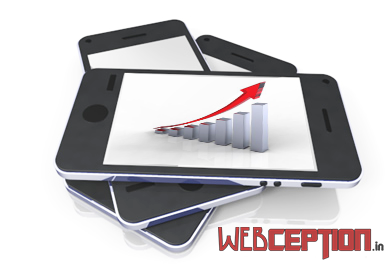 Another benefit of using mobile applications in business is the increased responsiveness to customers. Contact with customers is possible anytime, anywhere. Sales representatives should get information in real time, then they can take action on updated information and give the business a competitive edge in the market. Yet another advantage of using mobile applications for business is improved productivity. Sales representatives spend very less time on administrative tasks, but they get to spend more time with the present and prospective customers. Companies spend less money on printing materials since most of the correspondences between the business owners and customers happen through mails. For all small scale businesses every expense should have a clear, tangible result. Mobile applications directly increase sales in a number of ways. Let us check the ways by which mobile applications enhance sales and become responsible for greater profits. 1. Mobileorders: This is a direct and easy way of promoting sales. One can browse through various products and services available and place an order for which he or she likes the most. Orders can also be placed through mobile applications. Mobile sales have picked up to a noticeable degree and they account for one fifth of all online sales today. Users are no longer hesitant to place orders through application. Therefore, a mobile application is a natural way for fans to make purchases. 2. Push notifications: Entrepreneurs who want to generate more income can send messages to users through a push notification and increase sales. One can simply promote a product or service, or can tell users about a special discount, offer, or event. A mobile application, thus, adds a new promotional channel to the marketing aspect of a business. 3. Loyalty rewards: Reward is a way to increase sales which stood the test of time. A mobile loyalty program is sufficient to reward frequent shoppers and regular customers. By adopting this method one can save the printing expenses. Mobile devices can do everything without the users spending much time and money. 4. Socialreferrals: Mobile applications may include a simple feature by which users can provide a link to a business in their social media profiles. This helps the business to have new fans and followers since everybody is active in social media networks these days. 5. Mobile reservations: Businesses like restaurant and spa can have mobile reservations which will open the business to new users. Users can open the applications at their convenience and make reservations whenever and wherever they want. This is another smart way of enhancing sales. 6. Newsletter signups: Requesting newsletter signups is another way to generate more revenue. With the applications and internet connectivity users become more integrated with business. They can meet their fellow users whenever and wherever they are with information about the business, products and services and with special offers. This method also helps entrepreneurs to earn extra income.